We get new readers to our blog every day. I wanted to explain why they might like Shadowbinders and who might like it. First of all. Shadowbinders. What is it about? 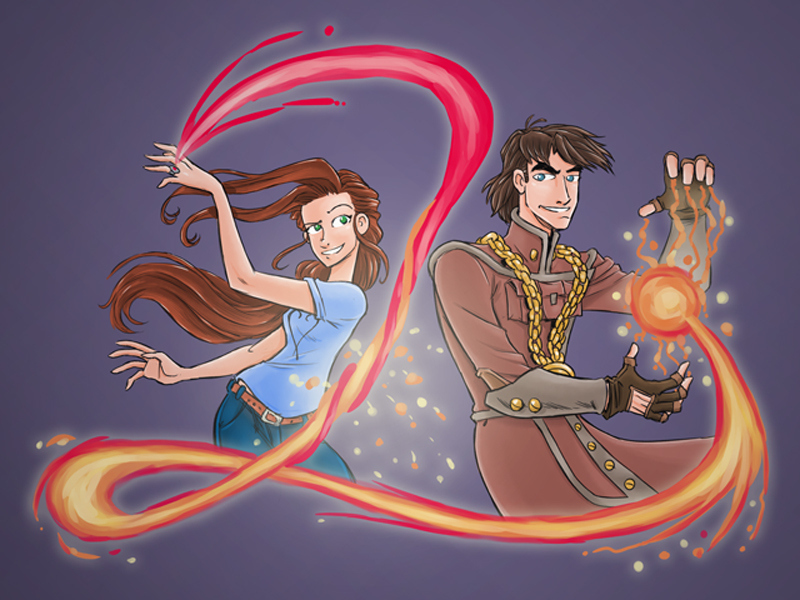 Shadowbinders is a Young Adult (recommended 12 and older) steampunk/fantasy story sprinkled with action, adventure, and comedy. We have a lot of readers of all ages. I would say it is no worse than what you would see in a Harry Potter book. A girl from our world inherits a ring that transports her to the Steam/fantasy world of Belatyr. There she meets a handsome, brash, and egocentric young mage and his crew. Hilarity ensues. Okay, pitch aside. Why did I list the shows/books I mentioned in the title? Because Shadowbinders takes inspiration from each one. I didn’t set out for it to be that way, but looking at it now, I can clearly see inspiration drawn from each of these. Our story is very different from each one, but Shadowbinders was inspired by these wonderful stories. The two biggest influences are Inuyasha and Howl’s Moving Castle. Inuyasha has a main cast with the 5 characters: Inuyasha, Kagome, Shippo, Miroku, and Sango. We have Crimson Rhen, Mia, Andrew, Tristan and Elaina and we also have a smart mouth Feeb named Winston. Fact of the matter is, I love Inuyasha! That is what inspired me to write Shadowbinders in the first place. My favorite book of all time is Howl’s Moving Castle by Diane Wynne Jones. 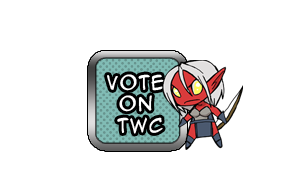 Like Howl, Crimson Rhen is our arrogant, self-centered, mage/wizard who needs to be adored by women. 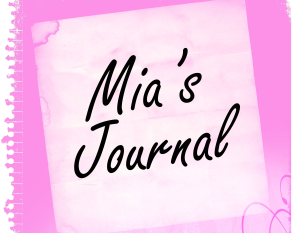 Mia is our self doubting, stubborn, and lovable female lead, that isn’t sure of where she is going in life. I guess Winston would be close to Calcifer. They are both very old and they are both tied to the mages in some way. Howl has his moving castle and Rhen has his beloved Airship The True North. 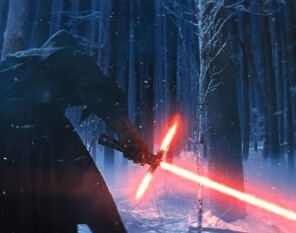 I would compare more to the series not the movie. It has not been as strong an influence as the other two stories, but there have been some aspects readers have compared Shadowbinders too. I know when I was developing the story (and had not seen the show yet) Thom kept saying it reminded him of Escaflowne. We have the girl from our world. A male character who is strong and the last of his line. Blood is an important theme in both stories. There is also her necklace that helps her go between worlds. In our story Mia has her ring. I think more similarities will come across as the story progresses (similar issue were in Inuyasha as well) but I can’t talk about those yet. We have been compared to Avatar a lot. I think it is mostly due to fact that our story is character driven. There are also elemental and physical aspects to the magic. We have a young team working together to stop an evil force. Instead of Momo we have Winston. But Winston isn’t really a pet. He is a smart alec, snack-loving, mischief causing, ball of fun. We also have an Azula type character named Acacia. 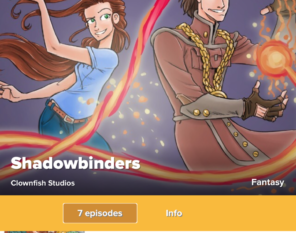 One Shadowbinders interview/review by MAJK of Geek Eccentric said Crimson Rhen “He strikes me as a combination of Prince Zuko and Aang with a dash of Tony Stark. Trust me, this is a good thing.” You can read the article here. We love Avatar and I am not surprised that love is projected into Shadowbinders. There are other influences, but it is too early in the story to talk about them. If you are a fan of any of these series you may enjoy Shadowbinders. I urge you to read the comic here. If you would prefer a physical book (s). We are running a Kickstarter right now for hard cover print volumes of the books here until 3/7/14. No money will be charged to you until 3/7/14. Liked it? Take a second to support Kam on Patreon! 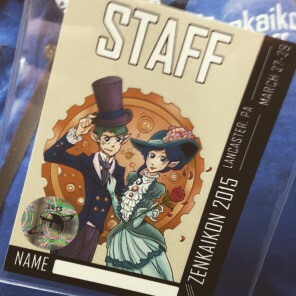 The Shadowbinders Podcast Episode 18: Zenkaikon 2015!